When stopped on an incline, do not hold the vehicle stationary with engine power. Use the service brake or the parking brake. 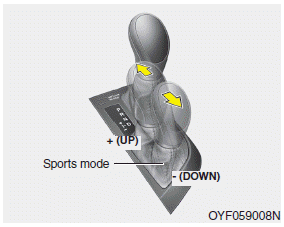 • Do not shift from N (Neutral) or P (Park) into D (Drive), or R (Reverse) when the engine is above idle speed. Do not use the P (Park) position in place of the parking brake. 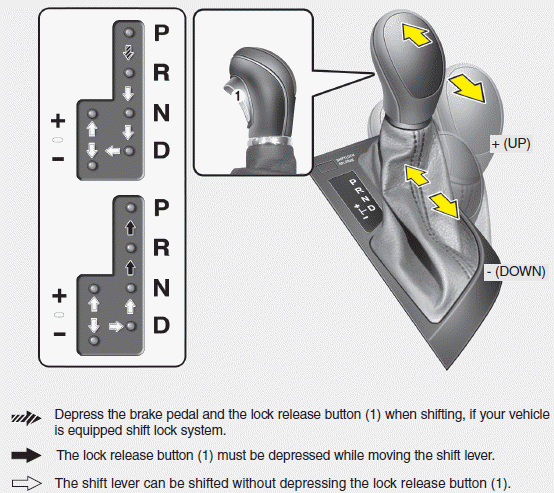 Always make sure the shift lever is latched in the P (Park) position and set the parking brake fully.